Recently I’ve been working with a community broadcaster and one of the questions I’m often asked is “What happens to you when they switch off analogue radio in 2012?”. Of course, the date most often spoken about for an analogue radio “switch off” is 2015, and 2012 is when the last analogue TV transmitters will be switched off and the UK will receive digital terrestrial television instead. Even so, listeners are unsure about where we will go. The largest local commercial station isn’t currently on DAB either. I’ve read some interesting thoughts on this lately, and will save it for a future blog post. All that aside with the conversations about quality, coverage, and economics for just a minute. I’m still quite fond of analogue radio and the broadcasters that will continue on FM after the bigger stations move away. Earlier this year I wanted to replace the AM/FM cassette player in the car. I went to Halfords and they didn’t stock a single DAB car unit - even in the display cabinet. 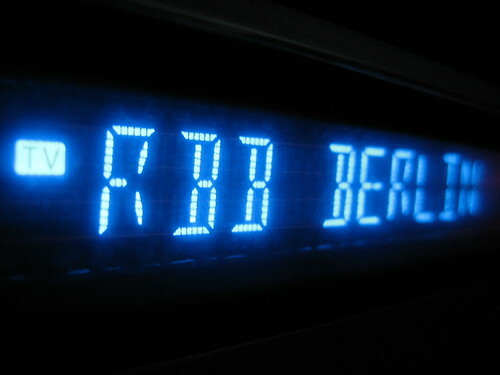 I spotted a nice Blaupunkt unit, did some research and ended up choosing the Hamburg series. It does AM/FM/LW, has a CD player, plays MP3s and WMAs from a USB stick, has two 3.5mm inputs and bluetooth for calls and streaming. The new radio doesn’t suffer the same problems as the factory unit - namely that Longwave and Medium wave are now interference free. I now listen to RTE Radio 1 on 252LW in the car (unmatched in terms of news, discussion and music in the UK in my opinion). I’m listening to more radio from STAR, Magic and community broadcasters like Teesdale and Spark. Indeed, I live one mile from a DAB transmitter and coverage has never been an issue. I’ve not listened to Five Live on MW where DAB is available for a long time now. Internet radio is great too - I’ve got a bunch of presets on my phone and often listen to internet stations in the car trouble-free when 3G is available. Digital is where we’re heading and certainly has advantages. I’m probably not in the TSA for some of the stations I enjoy on analogue, but responding to talk that “FM and AM radio is going to be switched off” when over a hundred community and small commercial FM stations will remain on FM is a challenge. Yesterday I decided I’d be taking the weekend off, and after some porridge and toast (with some “classy for the price” jam) this morning, went round the corner for a newspaper. Sat reading this lunchtime I surprised myself with how relaxing it was, and how much I enjoyed going through the pages in full-colour. Then I remembered something I’d read during the week, which included the phrase “dead-tree processing factory”. It’s a fairly popular term online at the moment, but I can’t imagine reading those blog posts in the same comfort on my laptop or Eee PC, TV screen and even mobile as I’ve found today. Law & Order: Special Victims Unit (also known as Law & Order: SVU or simply SVU) is an American drama TV series about the Special Victims Unit in a fictional version of the 16th Precinct of the New York City Police Department. The show debuted on September 20, 1999 as a spin-off of the crime drama Law & Order and follows the same opening style of its parent. SVU is currently the highest-rated series of the Law & Order franchise, and is one of NBC’s top rated shows. Also won three Emmy awards, and nominated for many more. Oh well. 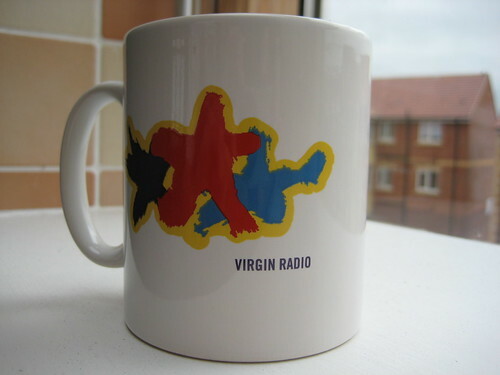 Absolute Radio begins tomorrow morning at 7.45am, and all weekend the station’s been on the ‘Road from V to A‘. If the past few days are anything to go by, I’ve got a feeling I’ll be listening to the new station a lot. And despite living over 250 miles from Oxford, I’ll be migrating from the one I’ve listened to the most for months - another Absolute Radio station. I’ve been thinking out loud about what to do about a new computer for some time - last September I was looking at a Mac Mini, and in Spring I started to look at the Eee PC. Almost a year on and this Dell Inspiron notebook is still fantastic. Whilst it has an external mouse, keyboard, webcam and two hard drives connected all the time, it’s still amazingly quick, stable and reliable for a two year old notebook, which is powered up for at least 14 hours a day, every day. The only thing that’s given way is the battery. And that’s started to be an issue - it’s always tethered to a power point. The last few times I’ve travelled by train I’ve also found the sockets to be broken or simply not working - which makes three hours each way a lot less productive. I’m also fed up with piles of paper and folders around the desk - especially when everything is so easy to find and manage with GMail and the Google Apps suite. There’s quite a few versions of the Eee PC - indeed, soon there could be 23. It’s worth looking around, but needless to say (I suppose) the more recent ones include the 901 and 1000H. Prices also vary, depending on the screen size and colour you’re after. In the end I went with eBuyer who I’ve always found to be fairly quick and safe. 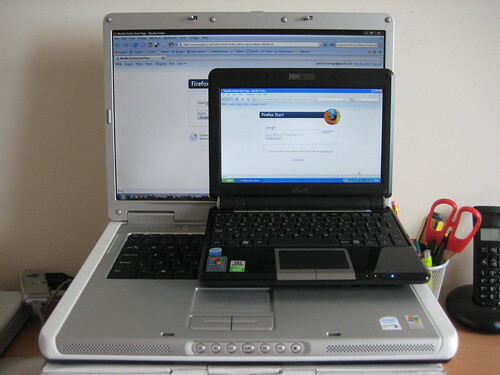 You’ll often find the option of less storage (12GB) and Windows XP, or more storage (20GB) and Linux. Powering up walks you through a Windows XP installation, and it’s fairly straight forward from there. I then downloaded Firefox and some essentials from PortableApps.com including Notepad++, FileZilla, Audacity, Sudoku and Gimp. StarOffice comes pre-installed, and seems to do the job. (Although I’m using Google Apps a whole lot more now). Overall I’m really pleased with the Eee PC. Plus points include the battery life which is phenomenal, screen resolution, portability and the video playback performance, even on an external monitor, is a pleasant surprise. The keyboard was very easy to get used to, however, I do miss not being able to scroll on the right edge of a trackpad. Wifi sensitivity and Bluetooth are also impressive. The built in webcam and microphone work nicely. Cons include a noticeable lag at times and the speakers sometimes disappoint, but that’s about it. The only improvement I’d really like to see is a built in 3G modem. Do we need still need a “land line”? 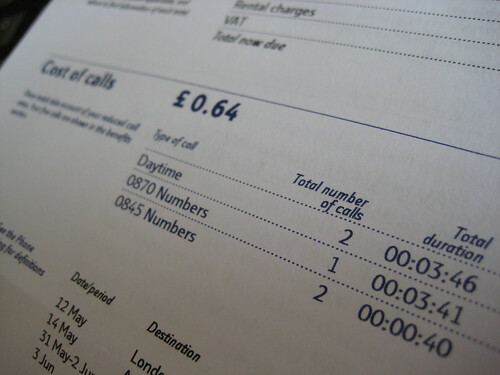 Each time I see my phone bill, the cost of the calls is getting less and less. In the last month, I used the land line to make five calls - everything else was done via mobile or Skype. Will there be a day when everyone (not just cable subscribers) can have just an internet service, and no phone line? Of the bill total, around 96% of the cost is “rental charges” and VAT. 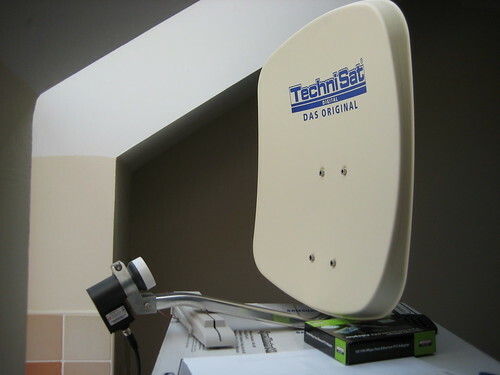 Since setting up the indoor satellite dish, I’d been using a SkyStar 2 card to view and record satellite TV from Astra 1, 2 and Hotbird. This is alright, but quite uncomfortable and cumbersome - especially if you have a spare 10 minutes to flick through. I’ve been thinking of a Technomate 1000D, or 6800HD, but without an exterior dish at the moment didn’t want to spend too much on something which might not be used. The Smart range of satellite receivers are all over eBay.de, or through eBay UK with “Available to UK” enabled on a search. It’s a basic, cheap satellite receiver with two USPs for me… a front display with the channel name and Component output for a HD TV. Total price new and delivered from Germany was £45.52. 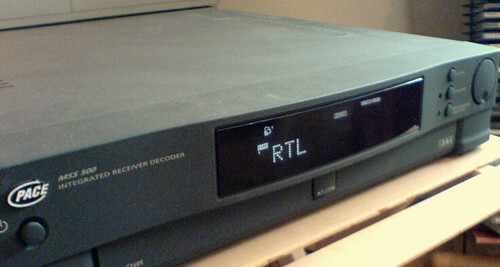 An old analogue satellite receiver with front display. They don’t make them like they used to! Unboxing was similar to most cheap DVB-S boxes; a small box made from thin cardboard, some packaging, cheap batteries and a black and white manual. Being from Germany, the plug is a two pin one, but whack it straight in a 3 pin converter (60p odd at Asda) and it’s ready to go. The manual is entirely in German, but it’s fairly straight forward to use, so this isn’t a problem. Switching on for the first time was an acceptable experience. I’d wired up using Component and at first the TV (a Samsung 19″ TV / Monitor which does HD, but has no HDMI port, but was sold as HD Ready - another post for another day) didn’t find anything on the input. I pulled out the Scart lead from a Freeview box and got into the menu. This was fine, and allowed for the change through the menu to output “YUV” and change the menu language to English. I then plugged in the Component leads again and all was well. Flicking through the channels proved a little strange, as the remote control appears to send commands to the Freeview box as well. The channel up button turns on the Freeview box (a £20 model from Asda), which the TV picks up and switches to the Scart input. To continue on I just unplugged the Freeview box from the wall. There’s a few hundred channels already programmed in for satellites including Astra 1, Hotbird and Turksat. Das Erste is on channel 1, RTL on channel 4 and so on. They’re sort of grouped, with the MDR, ZDF, news and music channels together. Day-to-day use is fairly good. There’s a rocker switch on the rear of the unit, as well as the standby mode. Changing channels is fairly easy through channel up/down, the EPG or favourite lists. The onscreen menu’s and EPG are about right for a receiver in this price range. Connections are good - IF loopthrough, RF modulator, Scart, audio l-r, digital audio out, Component and Composite. 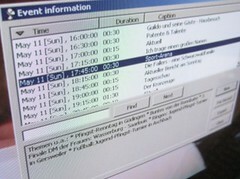 The EPG and channel browsing is very nice - and best demonstrated in this video on YouTube. Picture quality is surprisingly good for a cheap receiver like this. Comparing the input via Scart and Component didn’t reveal any huge differences (the TV is pretty good - it never looks pixellated or grainy), but the Component input really shines on news and sport programmes. I’m yet to try it with a film, but expect it to be good too. Another observation to make is that the blacks are far, far cleaner than they are via Scart. The pros definitely include the Composite output which looks phenomenal, and the quick response when changing channels. There’s a lot of neat features, and overall it’s a good satellite receiver. Another pro is the price - I’ve never seen a DVB-S box with HD output for under £50 in the UK. The cons unfortunately include the front display and overall feel of the box. The picture on eBay, the literature on the Smart website and even the cardboard box indicate a front display like the one on the Pace box above. Unfortunately it’s more of a segment display, and this is unclear most of the time. The two large red and green LED’s let the front display down, which otherwise looks smart with the hidden buttons. The flap behind which those buttons sit is very difficult to open. Overall this is a great little box for under £50. I’m a little underwhelmed, but channels like Das Erste and NRJ Hits look excellent through Component. I’m pleased I bought it and would look at spending a few quid (literally) more on the next model up from Smart. Freesat has landed, but is it any good? For most consumers, I think so. To provide a little background, satellite signals are either encrypted (part of a pay TV package, or “Free to View” which requires a free, or low cost card to decrypt the signal) or unencrypted (or clear, or “Free to Air”). Applying this to Digital Terrestrial Television (commonly known as Freeview in the UK), you could split BBC ONE, The Hits and Sky News into “Free to Air”, and UK Gold into “Pay TV”. A while ago all of the UK’s Public Service Broadcasters (PSBs) were “Free to View” on satellite. If you had a Sky subscription, you got them anyway, but if you had Sky equipment and no subscription, you could get a Solus card, which was largely paid for by the BBC. When they removed encryption and went “Free to Air”, they stopped supporting the scheme. Without getting into the whole saga, eventually you couldn’t get a legitimate Free to View card and the only way was to get a cancelled Sky card, or turn to eBay. 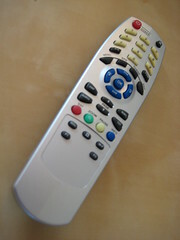 In October 2004, Sky introduced Freesat From Sky. The new package was £20 for a FTV card, or £150 for a box, card and installation. A year later, the BBC and ITV announced Freesat, and some time afterwards made their own channels FTA. In the meantime, tens of thousand (if not more) viewers in the UK have been watching FTA television on boxes supplied by neither Sky or Freesat, but manufacturers like Technomate and by using cheap kits from Aldi and Lidl. Channel 4 is now available FTA, but Channel 4 HD is still only available to Sky HD customers. five is not available on Freesat. ITV HD will be available on Freesat, but not Sky, and will only be available via the red button when watching ITV. Sky News isn’t on the EPG, even though it’s a Free to Air channel on satellite. The only radio stations on the EPG are all from the BBC. The three national licences - Classic FM, talkSport and Virgin Radio - are all missing. The line-up is a little disappointing at the moment (although most of the channels, like Sky News or Planet Rock are on satellite, FTA), and it’s a little reminder of the days of 1998 when you keyed in 103 on your Sky Digibox and were told “Press ’tv’ and ‘3′ to view ITV”. Personally I’d hang on and see how it plays out, what the on-demand services are like, what channels are added and what firmware changes are made before ringing round to find a STB. At the moment, I’m still drawn to the Technomate TM 6900 HDas my next satellite box, but once on demand, HD and more channels on the EPG filter through, it’ll be an excellent purchase for anyone without adequate Freeview coverage or simply wanting HD. 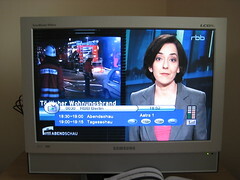 I fully understand the reasons for using an independent programme information stream, but it would be nice if we could enjoy what we have with European TV stations (like RTL, or Das Erste) and get full, comprehensive EPG data on any DVB-S equipment we care to use. Last night I saw The Digg Reel - a video from Revision3 which looks at the most popular videos on social news site, Digg. The source of the videos is credited, but often just as YouTube.com or Break.com. I’ve noticed this in several places, especially TV news channels. Last year BBC News 24 showed the spoof iPhone advert from Late Night with Conan O’Brien (inexplicably removed from YouTube by NBC, despite the huge popularity of that skit) twice, yet only credited one showing, and that was “from YouTube.com”. You could even hear the audience laughter at the end of the video as it was shown on News 24. Sky wouldn’t dream of waiting for someone to upload a BBC interview, and then download it and credit YouTube. Infact, when dealing in their own content the BBC and Sky clearly credit each other, down to the title of the show. Yet news outlets appear fairly happy to use and credit YouTube videos rather than the original source. April marks changes for the UK’s two main news channels; BBC News 24 and Sky News. Sky refreshed their graphics, and the BBC have been gradually introducing a new look to most of their outputs. I’ll cover those two (and CNN, France 24 et al) over the next week or so. In recent years the BBC’s international news channel, BBC World, has reflected the graphics and style of BBC News 24. Indeed, this week BBC News 24 has been using the BBC World set between 9.30pm and 10pm and I suspect most won’t have noticed the small differences in the neighbour studio (the background, the silver border on the large screens, a slightly smaller desk, etc). Whilst typically seen in hotels around the world, BBC World is also available in the UK via a Hotbird satellite. The typical Sky equipment is capable of displaying the channel (if the dish is aligned accordingly), and the kits often sold in Maplin and Aldi allow users to be watching the news channel within minutes, completely legitimately. Some slight updates to the graphics here. The WORLD has become bigger (in terms of this logo, not in general) and the ticker is simply black and white. The headline also becomes thinner, as will be shown in an upcoming post on News 24. The current (for now) graphics for BBC World. It’s interesting to note that BBC World does not use a clock, yet the BBC World Service (and World Service English News) does mention the time (according to GMT) several times an hour. I'm a web developer in the North East of England.